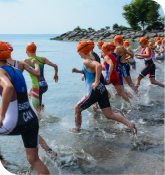 In 2016, Mississauga hosted the largest Ontario Summer Games (OSG) in history! As the City's first major multi-sport event, the Games drew a sold out crowd of 7,000 participants. With 8,000 hotel room stays and 1,000 community volunteers, the Games generated $6 million for Mississauga and local area economy. The Games showcased Mississauga as a proud host community, where residents and visitors of all ages and nationalities came together through volunteerism, athletic excellence and artistic celebration. A team of dedicated staff ensured the Games were hosted within the $1.9 million operating budget. In addition, a new four-court beach volleyball venue was developed at Lakefront Promenade Park as a legacy to the Games and to the community. For more information, visit www.osgmississauga.ca/after-the-games. The City's Community Recognition Program was launched as a one-year pilot in 2016. The program provides the opportunity to recognize and celebrate special occasions and events, which foster a spirit of community, celebrate Mississauga's diverse culture and contribute to enriching the quality of life in our city. Organizations can request recognition in the form of either a flag raising or lighting of the Civic Centre clock tower. 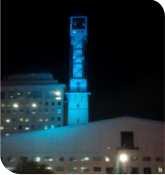 In 2016, the City coordinated 10 clock tower lightings and four flag raisings as part of the pilot program. Following the completion of the one-year pilot program in 2017, a report will be brought to Council for direction on implementing a permanent Community Recognition program. For more information, visit http://www.mississauga.ca/portal/cityhall/communityrecognition. 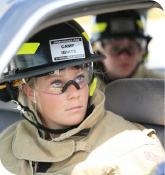 Mississauga Fire and Emergency Services welcomed teen girls, aged 15-19, to explore a career in firefighting during the City's first-ever Camp Ignite in 2016. The week-long camp gave participants firsthand insight into the tools needed to be excellent candidates for a future in Mississauga Fire and Emergency Services. Camp Ignite was an opportunity to embrace youth and diversity and positioned Mississauga as a city that welcomes all. The camp was met with great success, while positive feedback was received from campers and parents alike. Moving forward, the City is considering ways to expand the program and continue to promote diversity and inclusion through Mississauga Fire and Emergency Services. For more information, visit Camp Ignite News Release. 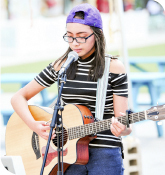 Through the Busking and Street Performance Project, artists can perform on designated streets and parks in Mississauga and legally collect donations from the public for their work or performance. As a pilot and as part of National Youth Arts Week in 2015, the City's Culture Division introduced buskers at the City Centre Transit Terminal. The success of the pilot provided the incentive to develop a permanent, city-wide busking program. Busking increases the vibrancy of Mississauga and encourages local artists to share and develop their talent. The busking program aims to differentiate street performers and identify buskers as legitimate artists. For more information, visit https://culture.mississauga.ca/content/welcome-saugabusks. Housing plays an important role in quality of life and affects every resident and business in the city. Mississauga is working to remove regulatory barriers and help providers develop more affordable housing options, particularly for middle-income households. Mississauga's draft Housing Strategy, Making Room for the Middle, is the City's plan for fostering a supportive environment for private and non-profit builders to provide housing that is affordable for all, with a specific focus on middle-income households earning $55,000 to $100,000. A Housing Affordability Advisory Panel (HAAP), comprised of expert housing professionals from the federal, provincial and regional governments as well as private and non-profit sectors, provided input and advice on the key deliverables of the strategy. Moving forward, the City will hold a Housing Forum to gather additional input from stakeholders and the public. 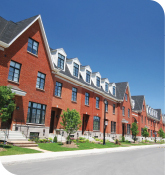 For more information, visit http://www.mississauga.ca/portal/residents/affordablehousingprogram. In 2016, Council approved a plan to proceed with a lease agreement and significant capital improvements for a new 8,600-square-foot Older Adult Centre at the Central Parkway Mall. The centre has operated out of Square One Shopping Centre since 1992. 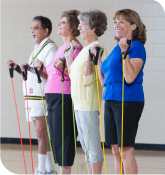 Offering an array of health, fitness, social, educational and multicultural programs, the centre helps older adults improve health, foster well-being and reduce isolation by creating opportunities to remain active, independent and engaged in their community. The new location in central Mississauga is home to over a quarter of the City's 55+ population, which is estimated to grow to 79,000 people by 2031. The new centre is helping ensure we continue to create welcoming places and spaces where people can come together to share, learn and connect. For more information, visit http://www.sq1oac.com/. The number of students attending post-secondary institutions in Mississauga remains steady. The recent opening of the second phase of Sheridan College's Hazel McCallion campus is expected to result in an increase in 20-34 year-olds living and working in the city. The 2016 Census results will report on the affordability of housing and will be available in late 2017. As the population ages, there has been a continual increase in the number of older adults relying on social services. Places of religious assembly in mixed-use and residential areas saw a slight decrease in 2016. 1. Statistics Canada, 2006 Community Profiles - Mississauga. 2. Human Services Region of Peel, Custom Data Request. 3. Statistics Canada, 2006 Community Profiles - Mississauga. 4. Statistics Canada, Custom Commuting Flow Table from the 2006 Census. 5. City of Mississauga, Growth Forecast. University of Toronto Mississauga, Fact Sheet. Sheridan College, Hazel McCallion Campus website. 6. Human Services, Region of Peel, Custom Data Request. 7. City of Mississauga, Mississauga Data.